"Mom, put the money on the phone. Then we'll call you back!" such TEXTS often come to phones Russian subscribers of cellular communication. And calls from allegedly in distress of relatives and did become a byword. However, despite the fact that the different cases were described already more than once, it is still fraud continues. And what is even more strange – victims is not getting smaller. Phone fraud is a new type of fraud that criminals carried out with a mobile or landline phone. Most often, the goal of the fraudsters is to lure the victim's money. Moreover, this type of fraud is virtually untouchable. According to statistics, fraud is one of the most profitable types of offenses. The punishment for these actions should not, for the simple reason that the amount asked is quite small, for which no one is going to contact the authorities. If you got the SMS of questionable content, do not throw immediately to transfer the money. Don't be surprised if you can't get through to someone who sent you a message asking for help. This is due to the fact that the scammers are fairly well equipped technically, and use special plugs that do not give the signal a call to the phone of the subscriber of the aisle. It is better to protect yourself beforehand, agreeing with your family about any secret details: words, phrases, etc. that you will use, if you really need help. In other cases, you should not respond. Try not to respond to TEXTS of this kind. If the thirst for justice rages in your blood, write a statement to the police. However, it is not the fact that they will consider it, because there is no corpus delicti – the money you gave. As for calls to a cell phone with a story that is the investigator, and your relative hit someone and you urgently need money, you need to think in such a situation very soberly. Even if the caller's voice can be very similar to the voice of your loved one. Try to reach him and find out if everything was okay. Don't hesitate to call and friends with whom he can be around. After all, you are trying to find out the truth. 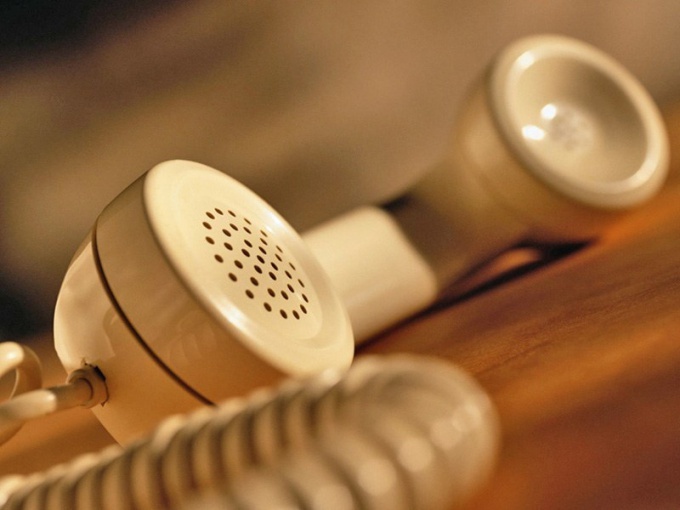 Calls telephone scams usually happen in the night. This is due to the fact that they are trying to confuse you, because awake people can not think clearly. So pull yourself together and don't panic. If you understand that SMS is a fake, the only thing you can do is to call your mobile operator and inform him of fraud and the number from which you received a message. Typically, the operator blocks of the subscriber. In more complex situations, for example, if you transferred money, you will need to write a statement the mobile operator with the request for the refund. However, to expect to recover lost funds if the money transfer was made within the same network. In case you have a call and demands to lift a certain amount to save a relative from trouble, you need to immediately throw up. Remember that no police officer will not ask you for a bribe, especially on the phone. Situation when swindlers enticed quite a large sum, are not uncommon. Usually the victims are trusting seniors. In this situation, no need to wonder where to go, and immediately go to the police. After its introduction, the mobile service messages (SMS) have become increasingly popular due to the convenience, privacy and speed of information transfer. However, this posts are popular not only for users and organizations, but also all the scammers who tirelessly invent new ways of obtaining money via SMS from unwary citizens. Ways of cheating via SMS is currently have accumulated quite a lot. It is difficult to describe them all, and also algorithm of actions of the recipient of such messages in one article. But it is possible to give General recommendations, which, however, in each case, will be very effective. 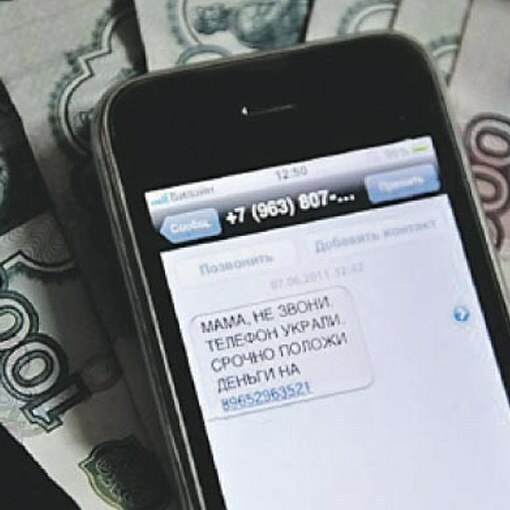 Before only if you receive a suspicious message from an unknown number, which in one way or another makes you transfer money you for the unknown coordinates, you must understand that it is a fraud. Of name, he wrote: from a relative, Bank, mobile operator, etc. It is necessary to exercise greater vigilance before sending SMS to short numbers. It should not disclose their personal data, including details of codes of Bank cards (the real Bank staff will never ask you for a pin code or a three digit number on the card) and also be careful when clicking on links contained in SMS with short numbers. The major mobile operators are trying to protect their customers from SMS scams. They usually provide free service SMS messages (sending and receiving) short codes, or let you know the exact cost of SMS to short number before sending it. Take advantage of these services. Also if your phone is connected to the Internet, you need to install good antivirus software and monitor the ongoing relevance of its virus database with regular updates. If despite all the above warnings you still become a victim of an SMS Scam, you need to call your mobile operator and provider of short numbers (to see who is the provider on the corporate website of mobile operator) on the fact of fraud and unauthorized withdrawal of funds from an account if it was made using a short number, or to go to the police with a statement, if unknown persons demand from you money transfer, posing as Bank staff, relatives, etc. In the presence of artistic data, you can get a big moral and a small cash the pleasure of communicating with the attacker. So can you explain, for example, "Bank employee" (the caller probably from places not so remote) that you would be happy to send an SMS to a unknown number with your credit card, but you have, of course, much to your regret, the money runs out on the phone and to receive further instructions from "Bank employee" you would like to ask him to translate 300 rubles on your phone. If you are an artist, you can get a small compensation for moral damages from a call of fraud.